If using a fresh lobster, put it in the freezer for 2 hours before cooking. Then, having made sure that the lobster is no longer moving, push the tip of a large, sharp knife through the centre of the cross on the head. Place the lobster on a perforated container and steam at 100°C for 12 minutes. When the lobster is cool enough to handle, remove all the meat and keep the shells. If there is any roe in the lobster, keep it together as it will add to the flavour. Place all of the lobster shells on a baking dish and roast using the FanPlus function at 200°C for 30 minutes. Cover the roasted shells with cold water, bring to a boil on the hob and simmer for 30 minutes. Strain the lobster stock and keep until needed. Mix the kale with 1 tbsp of olive oil, spread it over a baking tray and dry in a warming drawer for 3 hours at 85°C. Crumb the kale and add the rest of the ingredients. Set aside until needed. Boil the macaroni in salted water for 3 minutes – this will be less than stated on the packet. Drain and set aside. To make the lobster sauce, heat the butter in a large frying pan and then add the flour. Cook the flour for 2 minutes and then gradually add the lobster stock (around 500ml), boil the sauce for 5 minutes until it coats the back of a spoon, making sure that it is smooth with no lumps. Check the seasoning and adjust to taste with salt, pepper and lemon juice. 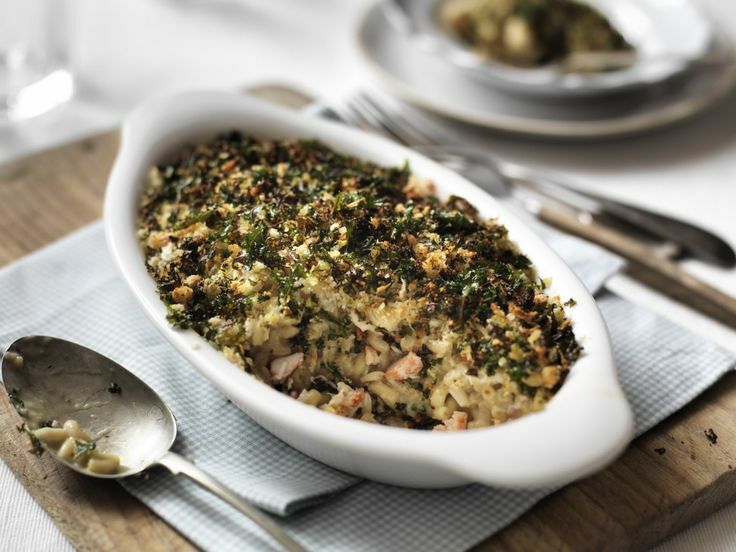 Mix together the pasta, lobster sauce, cheese and chopped lobster and place it in an ovenproof dish. Sprinkle with the crispy kale topping and then place the dish over the wire rack, slide the rack into position three of the oven and cook using the Conventional Heat setting at 200° for 20 minutes.